The bScreen combines the performance of µArray formats with the information available from label-free technologies. 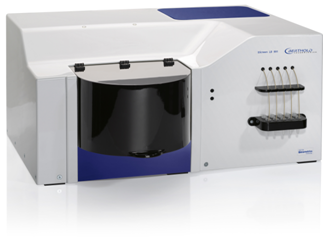 With a footprint of only 66 x 61 cm2 it substitutes a fluorescence µArray reader and a conventional label-free system (e.g. SPR) in a single instrument.